Sleep phobia is dreaded, but no matter how challenging your condition is, it can be overcome quickly. 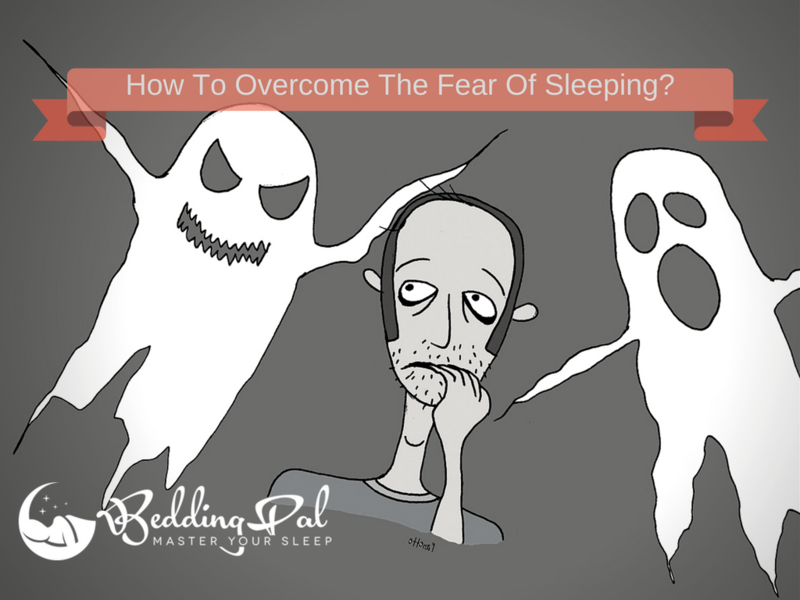 Anxiety is at the root of fear of sleeping at night. Most of the time anxiety and insomnia goes hand to hand. Sometimes, the anxiety occurs as a result of worry about sleep, daily life stresses, sleepwalking, or fear of having a nightmare etc. Regardless of the cause, it is easily treatable. If you are disturbed or anxious about something, then there is a high chance that it leaves a bad effect on your sleep. Sleep is highly necessary to stay energized, relaxed and active throughout the day. But, if your mind is not relaxed and stays busy with various thoughts after a tiring day, then it gets difficult both physically and mentally in convincing your body to gather the sleep. Switch Off Gadgets And Lights: Just one hour before planning to sleep, shut down all your electronic devices such as television, mobiles, tablets, computers, etc. and keep the lights of your room dim. Doing these, the waves would be sent to your minds indicating that it’s the sleeping time. Must Read A Good Book: To divert your thoughts from fear of sleeping, pick up a good book and read it silently. These methods will give your mind time to relax keeping the fearful thoughts away. Practice A Bedtime Routine: Prefer to sleep and wake up at the same time every day. Doing this, your brain gets trained to get tired at this particular hour at night and, sooner or later, you would fall asleep the moment you lie down. Apart of this avoid drinking caffeine at least 5-6 hours before your solid routine to sleep and also avoid exercising 3-4 hours before bed. Deep Breathing: Deep breathing contributes to relax your mind and decrease the level of stress. The process is very simple, just sit in a meditation position and inhale a deep breath such that your abdomen and lungs get expanded. Hold your breath for 5 seconds and slowly release it again in 5 seconds. Repeat this process for 10 minutes before sleeping, your mind and body would feel completely relaxed, and you would get a sound sleep. Also, you may try some yoga poses for sleeping well. Keep A Journal: Writing in your personal journal helps you a lot to release your stress, anger, and frustration. Whatever problems you faced during the day, jot them down along with a solution to overcome them. Do this daily as a bedtime routine, and the moment you finish writing your problem, close the journal and imagine that you have closed all the negative thoughts of the day with this journal. With the practice, you will feel relaxed since you shared your problems that were bothering you with someone. It is a great mental hack. Take A Hot Shower: Hot (I mean lukewarm) shower increases your body temperature, and once you are out of the shower, the temperature decreases. This fall in temperature helps you to sleep better. But, remember to take a shower at least 2 hours before bed, because it takes some time to lower down your body temperature, and once down, you gather peaceful sleep. Make it a night-time routine. Relax each and every part of your body separately starting from your toes, to your ankles, thighs, back, arms, and head. After that do some breathing exercises to relax your mind, and within few minutes you would find yourself sleeping. Alternatively, you can also try listening to the radio talks in a low volume, so that your entire focus is on trying to hear their talks which would keep you away from any fear of sleep circulating in your mind.